The Myrtlewood PineHills course was designed in 1992 on the site of the Pines Course at Myrtlewood, and was one of the earliest of the golf courses built on the Grand Strand. Arthur Hill's redesign of this course was so dramatic it immediately transformed it into one of the most popular spots for local Strand residents. 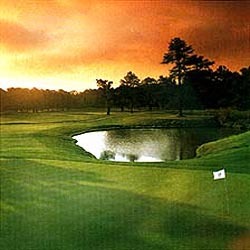 The course was nominated for Golf Digest's 1994 "Best New Resort Course" and has developed a reputation as one of the best kept courses on the Grand Strand. PineHills measures 6640 yards from the back tees and features Penncross Bent grass greens and Bermuda fairways.